Stop Piracy is the PUP that uses misleading techniques to prevent removal. Use Reimage to locate malicious components and get rid of them faster than with uninstall instructions. A full system scan blocks virus reappearance and prevents traffic to malicious domains. HOW CAN I GET INFECTED WITH STOP PIRACY? HOW CAN I REMOVE STOP PIRACY RANSOMWARE? STOP PIRACY is a dangerous ransomware virus, which tends to infect PC users living in France. We must warn that other French-speaking countries, like Belgium and Switzerland, should also be aware about this dangerous attacker. Just like any other Ukash virus, this threat blocks the system and then displays its fake alert, which asks to pay the money for various illegal activities. Stop Piracy virus displays a message, which seems to belong for a governmental organization. In this case, ransomware seeks to create an image that it belongs to Stop Online Piracy Act organization. In fact, this organization really tries to expand the ability of U.S. law enforcement to fight online trafficking in copyrighted intellectual property, but it has never been blocking computers in order to make users pay the fines for their illegal activities. If you see Stop Piracy virus on your computer, you should ignore its alert and remove this ransoware before it initiates more serious problems on your computer. STOP PIRACY ransomware is distributed by trojan horse, which can get inside the system without any user's permission asked. 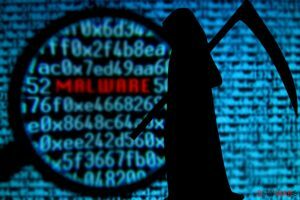 You should avoid downloading freeware, shareware, unofficial software and its updates, or clicking on various pop-up ads if you want to avoid Stop Piracy ransomware. Once it gets inside the PC, it locks the entire system first. As a result, user becomes incapable to get on the Internet or use his programs. He sees only this fake black alert with 'Stop Piracy Document-maître des infractions' words. Please, don't fall for this virus and never pay those 100 euros using Ukash or Paysafecard because this won't help you to unlock your computer. This alert has nothing to do with legitimate SOPA organization and seeks only to rip you off. We highly recommend to remove Stop Piracy virus if you are infected with this intruder. * Users infected with Stop Piracy virus are allowed to access other accounts on their Windows systems. If one of such accounts has administrator rights, you should be capable to launch anti-malware program. Reboot and run a full system scan with updated SpyHunter to remove remaining virus files. Take another PC and download STOPzilla, SpyHunter or other reputable anti-malware program with it. This entry was posted on 2012-12-10 at 08:36 and is filed under Ransomware, Viruses. You can quickly scan the QR code with your mobile device and have Stop Piracy manual removal instructions right in your pocket. How did you remove Stop Piracy?